Too many to name, here are just a few of our favourite things to do in Edinburgh. 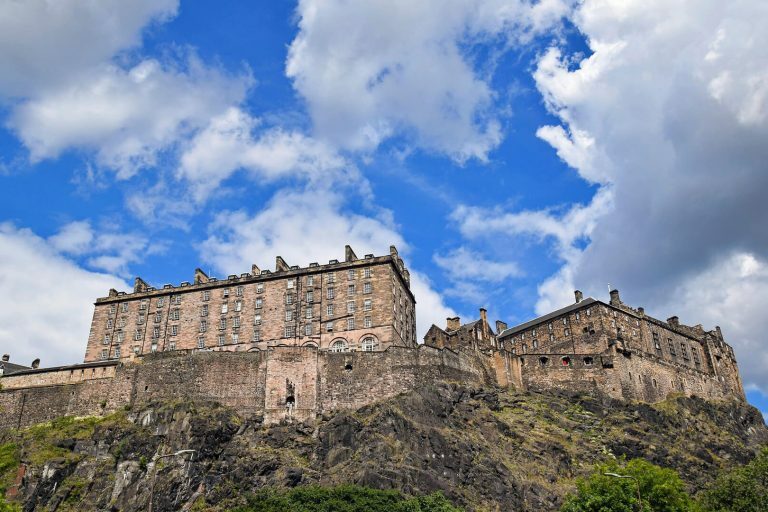 Situated right at the top of the Royal Mile on top of Castle Rock, Edinburgh Castle is the number one visitor attraction in Scotland and the most iconic building in the city. A brilliant day out for all the family, Edinburgh Zoo is home to more than 1,000 animals, including the UK’s only Giant Pandas. 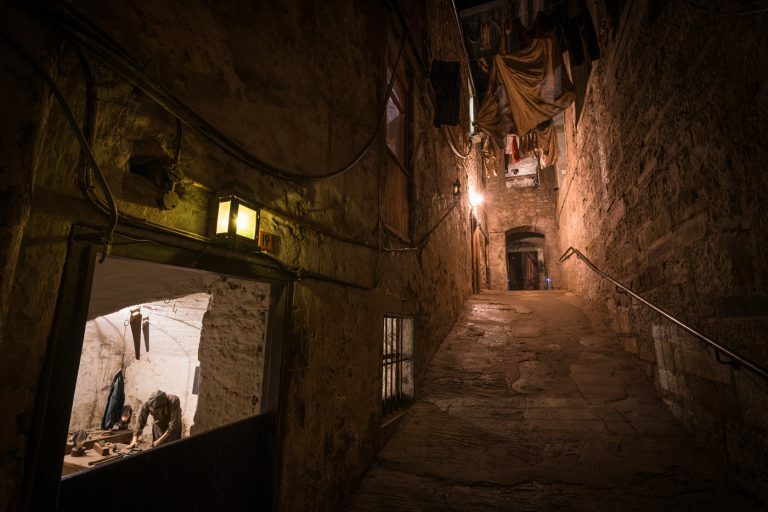 The Real Mary King’s Close is buried deep beneath Edinburgh’s Royal Mile and a warren of hidden streets that has remained frozen in time since the 17th Century. Edinburgh is home to three of the National Galleries of Scotland, the National Gallery, the Portrait Gallery and the Gallery of Modern Art offering permanent collections and exciting visiting exhibitions. 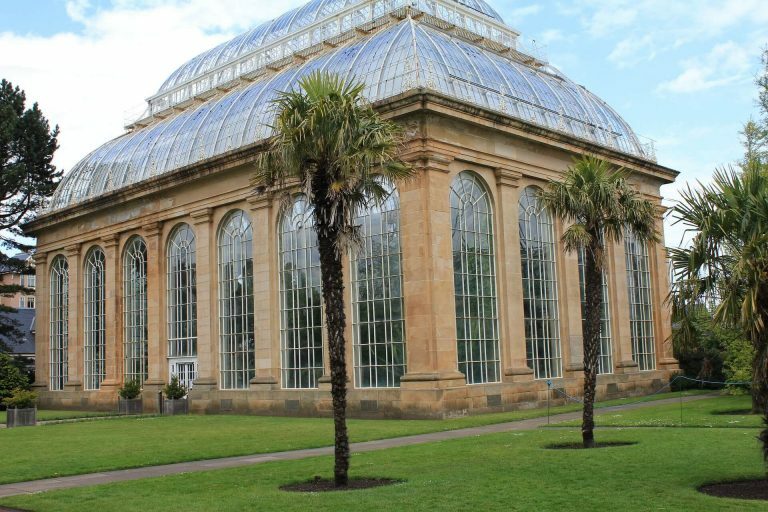 Enjoy a stroll through Edinburgh’s stunning Royal Botanic Gardens throughout the changing seasons or journey through a warmer climate in the Glasshouse. Voted as the UK’s number one attraction by TripAdvisor, the Royal Yacht Britannia was the seabound home to Her Majesty the Queen, it is now moored permanently near Ocean Terminal in Leith. These wonderful attractions are merely a bus ride away and when you have had enough culture and entertainment for one day, you can return to the peace and tranquility of the park to re-charge your batteries and take in the views of the Pentland Hills, Salisbury Craggs and Arthur’s Seat. The Camera Obscura and World of Illusions offers fantastic views of Edinburgh with three galleries full of optical experiences. The optical illusions include bendy mirrors, big lenses, holograms, shadow walls and giant kaleidoscopes. There are three floors of exhibits, including a gift shop, which contains games, puzzles and camera accessories. Get up close to one of the largest collections of sharks in Europe as amongst others, Sand Tiger Sharks and Grey Nurse Sharks swim over your head at Scotland’s National Aquarium. Wander through themed exhibitions taking in the sea creatures and marine life in the longest underwater tunnel in the UK. Edinburgh Castle is home to the world-famous Military Tattoo and is annually visited by approximately one million tourists. The Castle offers magnificent panoramic views of Edinburgh and within the Castle precincts lies St Margaret’s Chapel, which is the oldest building in Edinburgh. The one o’clock gun is fired from the Castle every day except Sunday. Edinburgh Zoo is committed to the highest standards of animal welfare, conservation and environmental education. The zoo has over 1000 animals and is set on beautiful parkland on the outskirts of Edinburgh. There are hilltop safaris, children’s play areas, restaurants, gift shops and various events throughout the year. Forth boat Tours depart from South Queensferry, which is only a short distance from Scotland’s bustling capital city of Edinburgh. The tour includes magnificent views of the Three Bridges, Seals, Puffins and Porpoises, the beautiful panoramas of the Edinburgh skyline, the Kingdom of Fife and the historic island of Inchcolm with its medieval abbey. For your comfort, relax on board in the heated observation lounge or on the outside decks and listen to the guided commentary while you enjoy a drink from the bar. Glenkinchie is often known as the Edinburgh Malt due to it’s close proximity to Scotland’s capital. With a shuttlebus provided twice a day, seven days a week from Edinburgh (visit website for details) you can visit the exhibit and model distillery or choose from a variety of tours – each with a complimentary whisky when finished. At the end of the Royal Mile in the shadow of Arthur’s Seat lies Holyrood Palace. The Palace is best known as the home of Mary, Queen of Scots. Today the Royal Apartments are used by the Queen for State, ceremonial, and official entertaining. Some of the artworks on display are watercolours and drawings from the Collection of Queen Elizabeth The Queen Mother. A few minutes walk from Edinburgh Old Town, the hilly public park encompasses a five mile radius of land now the responsibility of government cultural agency Historic Scotland. 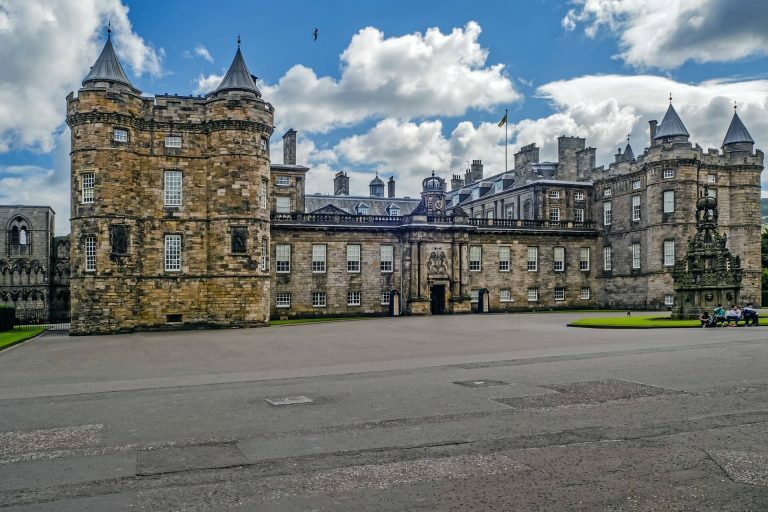 Having probably being a Royal Park since the 12th Century, Holyrood reflects the rugged, natural landscape found across Scotland with it’s volcanic cliff faces, steep pathways, mini locks and the hillside ruin of St. Anthony’s Chapel. A great place to ramble with well maintained paths to the top of Arthur’s seat and it’s distinctive polished rock surface. How is it that the streets that the once bustling heart of Edinburgh’s Old Town came to be sealed off and hidden from sight? Be transported back to 17th Century Edinburgh as a costumed character guide leads you on a tour through preserved streets and spaces. Marvel at how different life would have been for the people of Edinburgh when these streets were open to the skies. Hillend Snowsports Centre is the longest artificial slope for skiers and boarders. The slope is located on the city bypass just a short journey from Mortonhall. The ski and snowboarding schools provide courses for adults and juniors at all levels and the centre is also open for those who just want to have some fun. The National Mining Museum Scotland, previously known as the Scottish Mining Museum can be found beside the A7 in Newtongrange. Telling the story of coal, Scotland’s national museum for the coal mining industry provides a home for a number of important national collections providing a great day out for all ages. 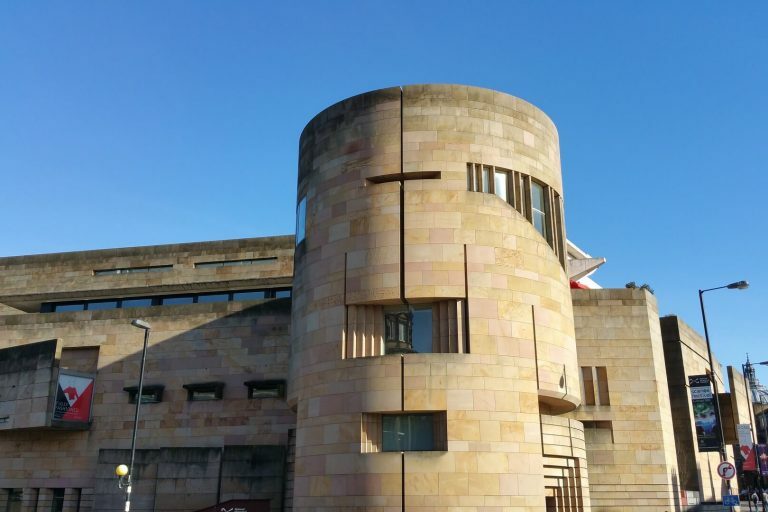 The Museum of Scotland is one of Scotland’s most popular attractions. The museum allows visitors to discover the story of Scotland; it’s land, its people and their achievements. Thousands of the nation’s most precious artefacts are on display. Free guided tours are on offer. Dynamic Earth is a prehistoric, volcanic, tropic and Antarctic exploration of the extremes of planet earth, from the beginning of time to the unknown future. Dynamic Earth has been awarded a Five Star Rating by Visit Scotland for outstanding presentation, service and facilities. Café and gift shop. 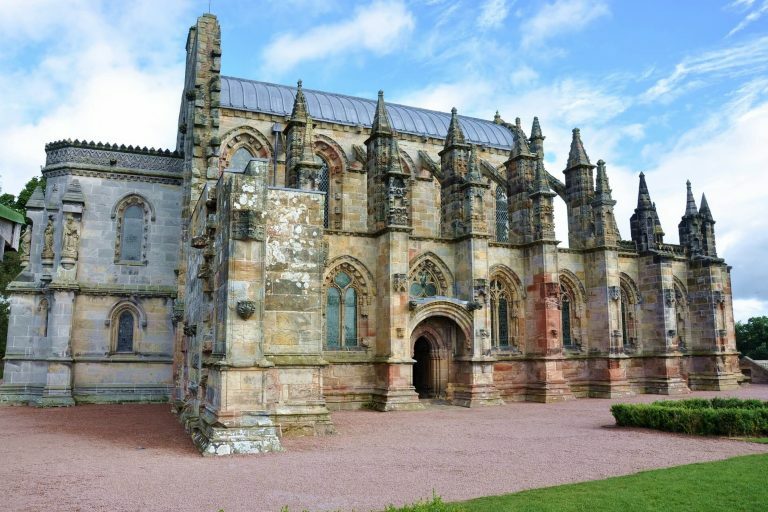 Rosslyn Chapel, of Da Vinci Code fame, was founded in 1446 by Sir William St Clair the third and St Clair Prince of Orkney. The Chapel contains many exquisite carvings relevant to biblical, Masonic, Pagan and Knights Templar themes. The area around Rosslyn plays an important part in Scottish history. Rosslyn Castle was a key holding during the Wars of Independence. The Village of Rosslyn was built to house the many stonemasons and labourers. The Royal Botanic Gardens are a gateway to science, horticulture, education and exhibition programmes. The Gardens explore and explain the world of plants. The gardens were founded in the 17th century with the aim of growing medicinal plants. The grounds now feature a world-famous rock garden, peat and woodland gardens, colourful herbaceous borders, large and well-stocked plant houses, and several specialist collections, including Chinese plants, and rhododendrons. Held in a marble glass vault 3,384 bottles of Scotch Whisky make the Scotch Whisky Experience a priceless record of Whisky history. Become part of the experience as you ride through their virtual distillery or sample a “Taste of Scotland” Sample Menu in their restaurant (lunch and evening menus are available). St. Gile’s Cathedral is the historic City Church of Edinburgh. With it’s famed crown spire it stands on the Royal Mile between Edinburgh Castle and the Palace of Hoyroodhouse. Also known as the High Kirk of Edinburgh, it is the Mother Church of Presbyterianism and contains the Chapel of the Order of the Thistle. Bringing together a cast of amazing theatrical actors, special effects, stages and scenes in a truly unique walk through experience where you will see (albeit almost dark), hear, touch, smell and feel the history of the Edinburgh Dungeon. Book online for discounted rates. Opened in 1890, the Forth bridge is a Scottish icon that is recognised the world over as the most famous of cantilever designs. Representing a key milestone in the history of modern railway civil engineering the record holding world’s longest cantilever bridge is one of the world’s most significant long span suspension bridges. The Royal Yacht Britannia is located at Ocean Terminal shopping centre, which is just 2 miles from the city centre. There is free parking and buses are available from the centre. Visits include self-led tours of the five decks and an insight into how the crew of 240 lived and worked aboard the ship.